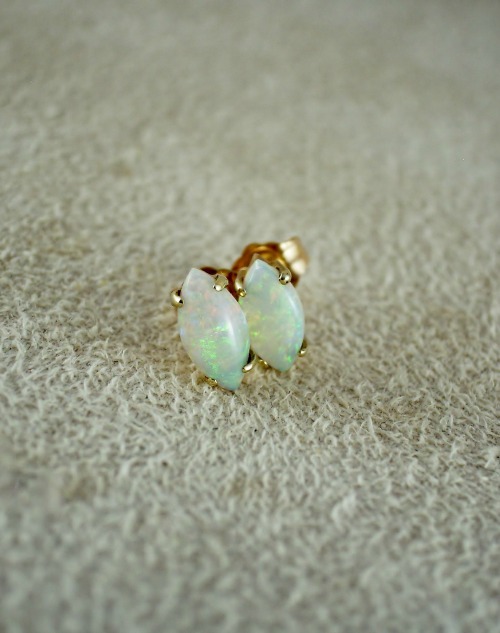 These gorgeous crystal opals shimmer with aqua, pink and green colours which is challenging to capture in a photo. 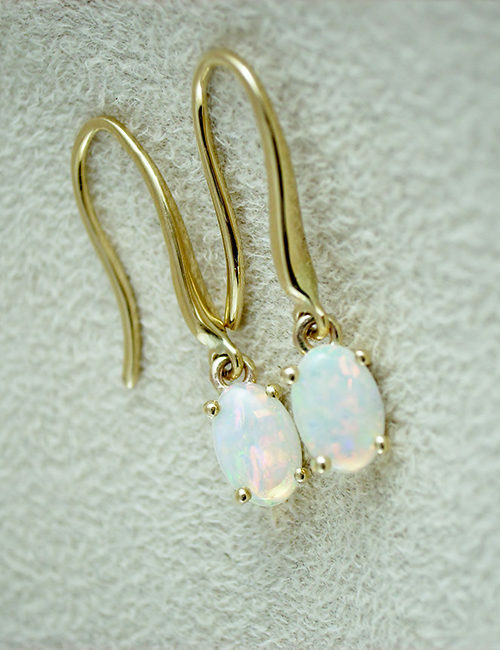 The marquise shaped opals are set with 14ct yellow gold in a claw style setting to reflect the play of colours in the opals as the light catches them. The earrings are in a stud style and measure 9mm x 4mm.